The Sunday Times and New York Times bestseller, now a modern classic. 'A novel of breathtaking scope, masterfully told' Guardian 'Brilliant and hugely ambitious' New York Times 'Extraordinary' Telegraph BRIDGE OF CLAY, the new novel by Markus Zusak, is out this October 2018 in hardback. The Sunday Times and New York Times bestseller, now a modern classic. 'A novel of breathtaking scope, masterfully told' Guardian 'Brilliant and hugely ambitious' New York Times 'Extraordinary' Telegraph BRIDGE OF CLAY, the new novel by Markus Zusak, is out this October 2018 in hardback. HERE IS A SMALL FACT - YOU ARE GOING TO DIE 1939. Nazi Germany. The country is holding its breath. Death has never been busier. Liesel, a nine-year-old girl, is living with a foster family on Himmel Street. Her parents have been taken away to a concentration camp. 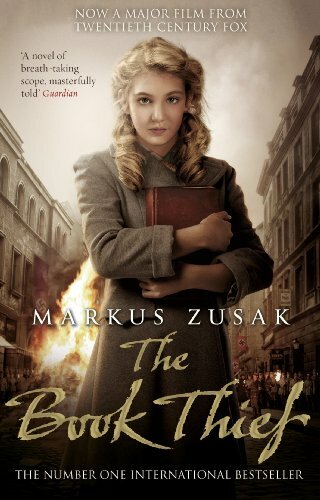 Liesel steals books. This is her story and the story of the inhabitants of her street when the bombs begin to fall. SOME IMPORTANT INFORMATION - THIS NOVEL IS NARRATED BY DEATH BRIDGE OF CLAY, the new novel by Markus Zusak, is out this October 2018 in hardback.